The introduction of online visa applications for foreigners wishing to visit South Africa holds great promise for the tourism industry, said Tourism Minister Derek Hanekom at Africa’s Travel Indaba in Durban this week. “What is exciting me is the massive potential,” he said. Hanekom said the electronic visas, which were expected to simplify the application process, should help increase growth in the tourism sector. Tourism in South Africa was sluggish last year – up only 2.6% on 2016 compared with a global average of 7%. Authorities have blamed the weak performance on a stronger rand and the water crisis in the Western Cape. Hanekom said e-visas would also help reverse last year’s 17% dip in tourist arrivals from the increasingly important Chinese market. The phased introduction of e-visas was expected to begin with a pilot project before the end of this financial year, home affairs spokesperson Mayihlome Tshwete told City Press on Thursday. Home Affairs Minister Malusi Gigaba and Hanekom met earlier this month and announced they would establish a team of senior officials from both departments to work on improving tourism access to the country. “We are dealing with it very vigorously,” Hanekom said. He told City Press that the department of home affairs was looking at waiving the requirement for visas for tourists who were already in possession of visas for the US, Australia, the UK and Schengen countries, which includes 26 European states. He said he expected changes to the regulations on documentation required by minors travelling into and out of the country to happen before the end of next month. “We are on the verge of making a breakthrough,” said Hanekom. In the middle of 2015, it became mandatory for minors travelling in and out of South Africa to travel with an unabridged birth certificate. The new regulations have been blamed for the loss of thousands of foreign visitors. 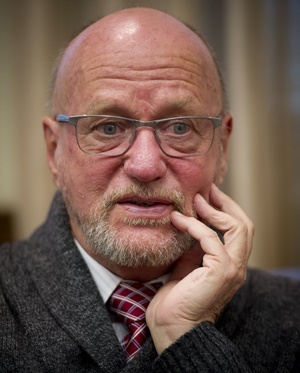 Hanekom did not have up-to-date figures on the lost trade, but said the regulations “still caused a great deal of trauma”.